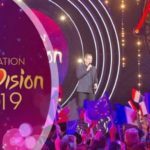 France: Eurovision Destination 2019 expert panel members revealed. 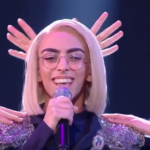 The French national broadcaster , France 2, revealed the members that will form the expert panel of the upcoming Destination Eurovision 2019 , France’s national selection format for Eurovision 2019. France 2 unveiled the names of the members that will be forming the jury panel of the country’s national selection Destination Eurovision. Alongside with Christophe Willem will be VITAA and Andre Manoukian replacing Amir and Isabelle Boulay from last year’s jury. Andre was a jury at the La Nouvelle Star (French Idol) from 2003 till 2016 while this year he was the commentator during the Eurovision semi finals. VITAA is an artist mostly active on the French radio scene. This year she was the composer of tha national final entry Mamma Mia performed by Luka, who came 8th in the final. 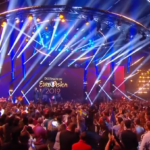 The national broadcaster has introdruced some changes in this year’s edition of Destination Eurovision. Apart from the jury’s composition , next year the national selection will se all of its shows, semi finals and final, be aired live while the jury will have a role to play on the final outcome. On the other hand Garou will be the host of the show for a 2nd year in a row. Earlier this year, Madame Monsieur was selected via the country’s national selection in order to represent the nation at the 2018 Eurovision Song Contest. With their entry Mercy, the duo finished in 13th position at the final of the event, receiving a combined total of 173 points.